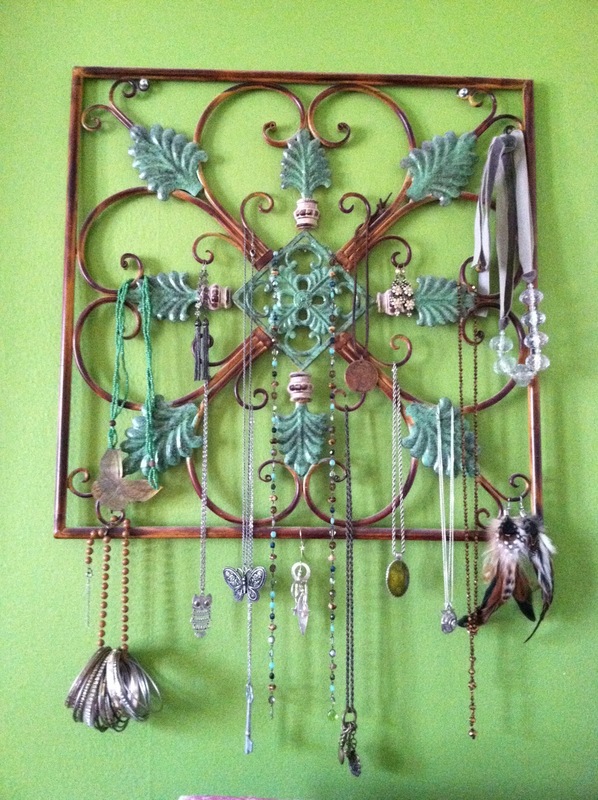 I have had this iron wall hanging literally directly above my jewelry box (actually, it's more like a jewelry bureau) for over 2 years and just the other day when I was trying to reorganize the tangled mess of baubles and sparklies I had an inspiration: I should hang some of my jewelry from it! 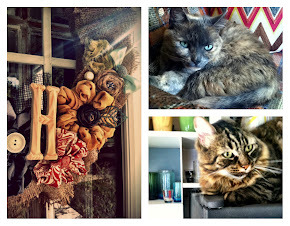 The hanging itself I got from Big Lots a few years back. It couldn't have been more than $15, and now it's doing double duty! I chose to hang some of my more forgotten jewelry items that sometimes get glanced over in favor of some of my signature pieces and so far it had been a great way to refresh my daily accessory selection process- plus, it looks kinda pretty! Just thought I'd share- not much of a project, but sometimes the quick little tasks can be just as rewarding.